A suspenseful plot, a creepy villain, a vulnerable victim, and themes of sacrifice and family make this a compelling book. The villain was creepier than I expected, and the scenes from that point of view kept the pace moving forward. At first Christy is looking for answers, but Lance soon realizes she is in a desperate situation. Her anxiety is palpable as she waits for the next clue or discovery, and I was biting my nails in trepidation. There is also a subplot with Lance's brother serving in special forces overseas, and Lance's devotion to his family is admirable. The romance between Lance and Christy followed the same formula as the previous book in the series- they verbally acknowledge the attraction to each other and make a plan to pursue a relationship after the case is closed. It kind of kills the anticipation and romantic tension. They still shared some special moments and I especially enjoyed the ending scene which is heart-warming. Tracy Campbell never wanted to leave Hope Harbor, Oregon, or the idyllic three-generation cranberry farm where she grew up. But life–and love–altered her plans. When tragedy strikes and changes her plans yet again, she finds herself back in her hometown with a floundering farm to run and a heartbreaking secret. Romance is not on her agenda. Nor is it on Michael Hunter’s. The visitor from Chicago has daunting secrets of his own. But when Tracy recruits him to help save a struggling charitable organization, the winds of change begin to sweep through Hope Harbor, bringing healing, hope, and love to countless lives–including their own. There is a solid foundation of background story and current plot lines from various characters' points of view, mainly Tracy and Michael's. The romance between the two of them alternated with too much holding back, then methodical rationalizing. Both were equally burdened with grief and guilt from their past relationships which helped with the give and take balance of support they shared. When they finally moved past the issues restraining them, the chemistry was pretty good, but still tempered by caution due to their fragile hearts. There are also tender mercies from heaven sprinkled in their experiences together and with other friends in the town. I loved the cast of community members and their influence on the different facets of the story. There is a real lesson of lifelong regret from the life experience of Anna, Michael's reclusive landlord that shares her tragic secret with a family in need to prevent them from making the same mistake. Another favorite is Charley, the fish taco food truck vendor who unobtrusively shares pearls of wisdom along with his unconditional friendship. After seven years as a Chicago homicide detective, Lisa Grant has hit a wall. Ready for a kinder, gentler life, she takes a job as a small-town police chief. But the discovery of a human skeleton by a construction crew at the edge of town taxes the resources of her department. A call for assistance brings detective Mac McGregor, an ex-Navy SEAL, to her doorstep. As they work to solve the mystery behind the unmarked grave, danger begins to shadow them. Someone doesn't want this dead person telling any tales--and will stop at nothing to make certain a life-shattering secret stays buried. 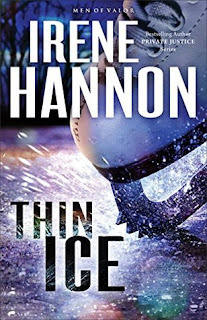 Master storyteller Irene Hannon is back with an exciting new series featuring former special forces operatives now in the thick of the action in civilian life. 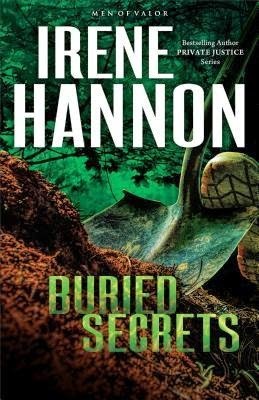 Hannon is at the top of her game in this can't-put-it-down thriller that will have readers up until the wee hours devouring every page. If you're looking for a book to help you fall asleep at night, don't pick this one up! I finished Buried Secrets at 2 am since I could not put it down. We read about the accident in the prologue, in first person perspective from the one who masterminded the cover-up. So the who-done-it is not a mystery, but rather the suspense comes from how the people involved are going to prevent the truth from coming to light. Lisa's character reminds me of Teresa Lisbon from the TV show The Mentalist- tough, professional, dedicated, and tenacious. Mac offers some assistance and insights but she clearly has a handle on the investigation. They are attracted to each other from the start, and Mac repeatedly admires her auburn hair with highlights. He's obviously a hair guy. We see his vulnerable side as he worries over his two brothers who are active duty special ops overseas. The softer side of Lisa is for the stray dog she adopted and became the department mascot. The viewpoint of the villain was chilling but also interesting to know the motivations for behavior. The investigation isn't fast-paced at first but the different viewpoints prevent stagnancy. Things speed up as evidence is discovered and more pressure is put upon the villain, which leads to a nail-biting climax. For three years, Kate Marshall has been grieving the loss of her husband and their four-year-old son in a boating accident. But when she spots a familiar-looking child on an escalator in the mall, she is convinced it is the son she thought was dead. With police skeptical of her story, she turns to private investigator Connor Sullivan. The former Secret Service agent is dubious but agrees to investigate. Digging into the case he discovers that the incident may have been no accident at all. But if Kate's son is alive, someone is intent on keeping him hidden--and may be willing to go to lethal lengths to protect a sinister secret. 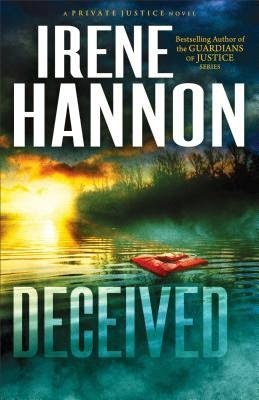 As Irene Hannon's many fans have come to expect, "Deceived "is filled with complex characters, unexpected twists, and a riveting plot line that accelerates to an explosive finish. 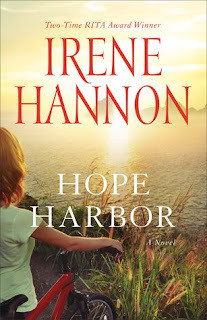 Irene Hannon's suspense novels are hazardous to my poor nails! Literally a nail-biter. This one is a bit different in that the crime had happened three years previously, so the suspense is more focused on how they are going to manage solving the seemingly impossible-to-solve mystery. The story is told from multiple perspectives, including the villain- who doesn't seem so villainous for the majority of the book. Great chemistry between the main characters and deep emotions make this a compelling story! Click on the book cover to download from Amazon! TODAY ONLY! 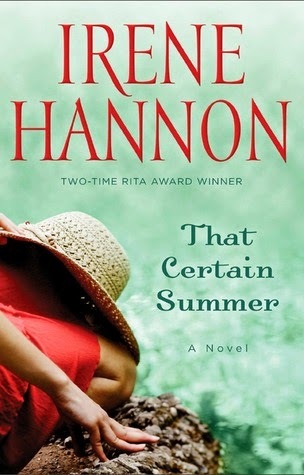 Download That Certain Summer by Irene Hannon for only $1.99! Karen and Val are family-yet they’re anything but close. Karen has carried the burden of responsibility for her aging mother ever since her gorgeous sister left town years ago to pursue a career in theater. But Val had darker reasons for leaving town-as well as a secret to keep-and coming home has never been an option . . . until their mother suffers a stroke. When librarian Laura Griffin's sixteen-year-old sister disappears on a frigid February day, leaving only a brief note behind, Laura resolves to do whatever it takes to track down the runaway teen. That includes recruiting ATF agent turned PI James "Dev" Devlin to help. But the deeper he digs, the more he begins to suspect that something sinister is at work in the girl's disappearance. And the closer he gets to uncovering the truth, the clearer it becomes that the situation isn't just dangerous--it's deadly. Wow, was this a nail-biter! Literally. My poor nails are much shorter after reading this book. Intense, some action, unpredictable, and good chemistry between the leads. Loved it!